This collection showcases Aotearoa Lesbian, Gay, Bisexual and Transgender screen production. The journey to Shortland Street civil unions, rainbows in Parliament and the Big Gay Out is one of pride, but also one of secrets, shame and discrimination. As Peter Wells writes in this introduction, the titles are testament to a — joyful, defiant — struggle to "fight to exist". This debut feature from director Niki Caro follows a Tokyo woman and her fiance who elope to New Zealand. A stunted beginning to their sexual relationship is overcome in a cave on an isolated West Coast beach. Shortly afterwards he drowns. She returns to a suffocating Tokyo before being drawn back to the cave. 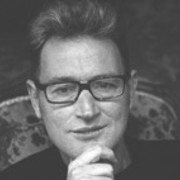 The restrained study of eroticism and grief was based on a short story by Peter Wells (itself inspired by a true story). Desire was selected for Critics' Week at Cannes (1998), and won best film at 1999's NZ Film Awards and a special jury prize for Caro. Peter Wells broke ground as one of the first New Zealanders to tell gay stories on-screen. Aside from his work as an author, he explored gay and historical themes in several acclaimed drama and documentaries — including pioneering TV drama A Death in the Family, colourful big screen melodrama Desperate Remedies and Georgina Beyer documentary Georgie Girl. Wells died on 18 February 2019.